Email marketing is still one of the most effective methods for reaching and engaging targeted audiences and with a little automation, email marketers can continue to keep customers engaged, excited and opening! MailChimp provides one of the most comprehensive online platforms for building out marketing automation for your e-commerce businesses, startup or community but can quickly get complicated as you look to set up the most effective automations. 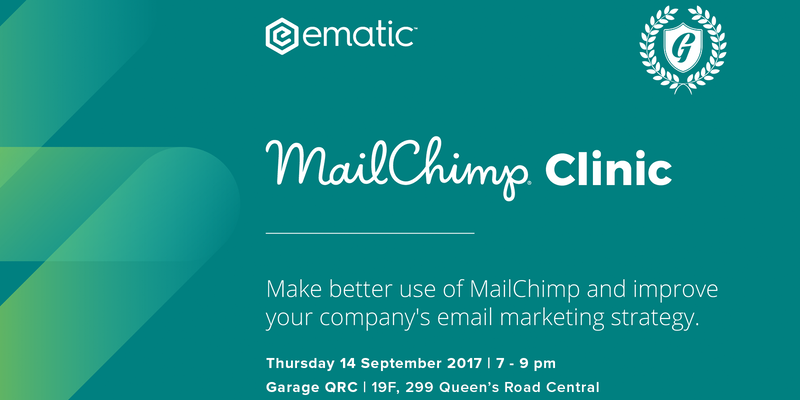 At this MailChimp Clinic with Ematic Solutions' highly skilled Customer Success team, we'll be providing tips and insights on how to get maximum value out of your MailChimp platform, reveal options you might not know exist and answer any questions you might have pertaining to your use of MailChimp. So sign up your marketing team today and take your email marketing strategy with Mailchimp to the next level!